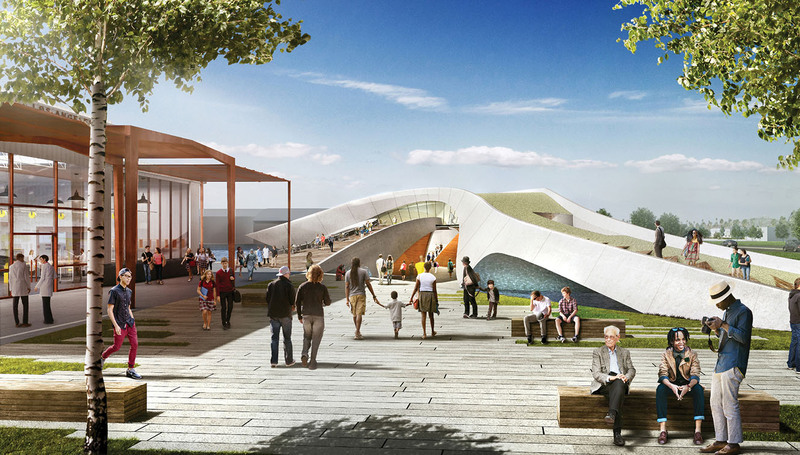 The expansion of Sampson Way in San Pedro into a scenic boulevard will facilitate public access throughout the LA Waterfront and better connect the waterfront with downtown San Pedro. Jerico Development & Ratkovich Company looks forward to turning the LA waterfront into a popular tourist destination and bring new life and new business to the city of San Pedro. There will be 2 phases of the project. AltaSea at the Port of Los Angeles accelerates scientific collaboration, facilitates job creation and inspires the next generation for a more sustainable ocean. Built on a historic pier with access to the deep ocean, AltaSea’s 35-acre campus brings people together to expand science-based understanding of the ocean; incubate and sustain ocean-related business; and pioneer new ocean-related education programs. Prominent partners on the AltaSea campus include the Boeing Company’s Echo Voyager submarine; Dr. Bob Ballard, the ocean explorer who discovered the Titanic; and Catalina Sea Ranch, the first company with permits to aquafarm in U.S. federal waters. The Port of Los Angeles Waterfront Commercial Development Group has released a prospectus on a commercial development opportunity at Cabrillo Way Marina on the LA Waterfront in San Pedro. Later this year, the Port will release a formal Request for Qualifications (RFQ) and subsequent Request for Proposals (RFP). The current development opportunity covers 87 acres of land and water and is located at the southwest corner of Miner Street and 22nd Street in San Pedro. The site includes a 12-acre commercial development area that includes 9.2 acres of landscaped parking and is entitled and ready for immediate development. The Cabrillo Way Marina is a 700-slip marina with a 325 dry boat storage facility. In 2011, the Port of Los Angeles completed a $125 million upgrade and expansion of the marina and added nearly a mile of public waterfront promenade within this development. Please see the Press Release at https://www.portoflosangeles.org/newsroom/2018_releases/news_080618_CWM_Prospectus.asp for more details and the prospectus can be found at https://issuu.com/phillp/docs/cabrillo-way-marina-brochure?e=9518920/63587069. 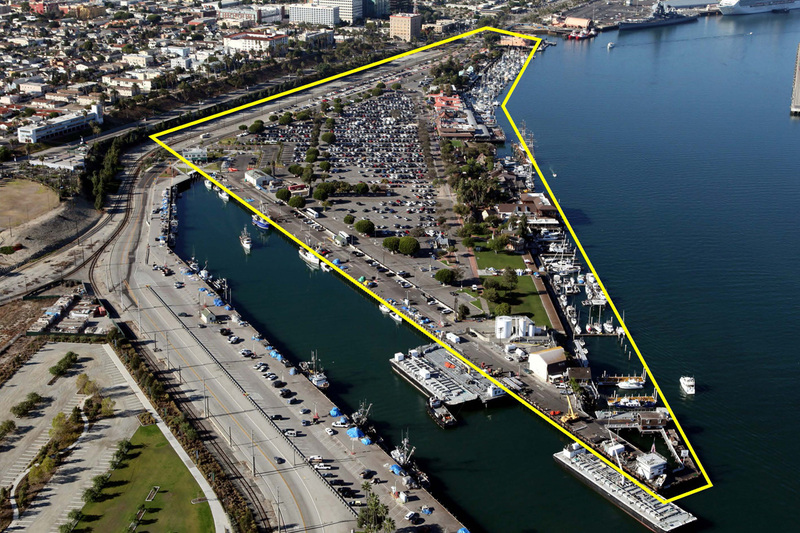 The Port of Los Angeles Waterfront Commercial Development Group has released a prospectuson a commercial development opportunity at Cabrillo Way Marina on the LA Waterfront in San Pedro. Later this year, the Port will release a formal Request for Qualifications (RFQ) and subsequent Request for Proposals (RFP). The current development opportunity covers 87 acres of land and water and is located at the southwest corner of Miner Street and 22nd Street in San Pedro. 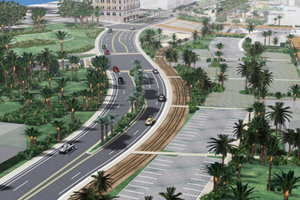 The site includes a 12-acre commercial development area that includes 9.2 acres of landscaped parking and is entitled and ready for immediate development. 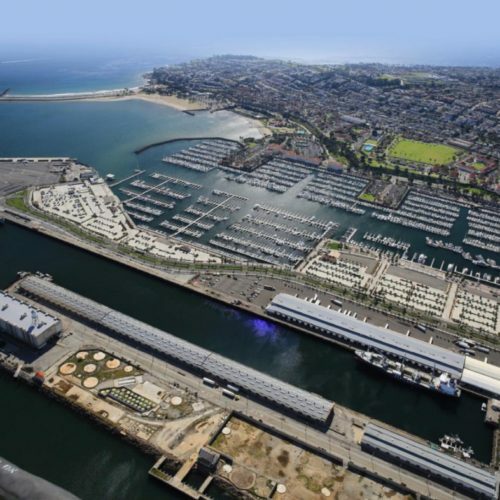 The Cabrillo Way Marina is a 700-slip marina with a 325 dry boat storage facility. In 2011, the Port of Los Angeles completed a $125 million upgrade and expansion of the marina and added nearly a mile of public waterfront promenade within this development. Please see the Press Release at https://www.portoflosangeles.org/newsroom/2018_releases/news_080618_CWM_Prospectus.asp for more details and the prospectus can be found at https://issuu.com/phillp/docs/cabrillo-way-marina-brochure?e=9518920/63587069.